Religious partisanship is something I know about. It is something Charles Dickens knew about, too. 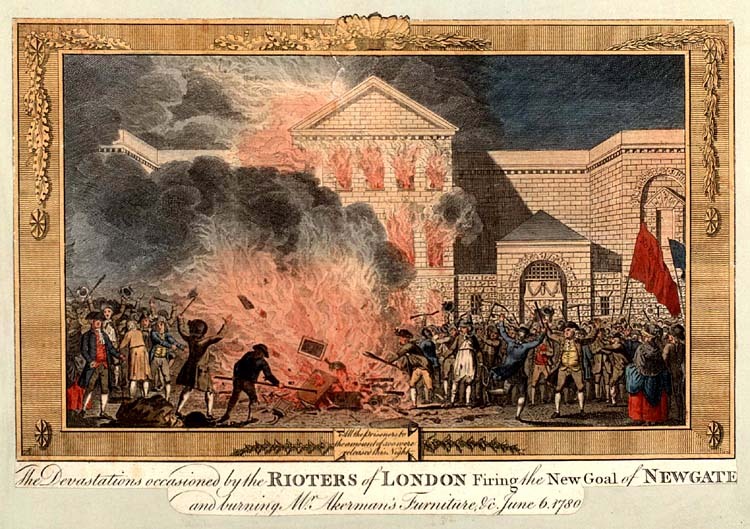 taking the “Lord Gordon Riots” of 1780 as his occasion for a cautionary tale. The “Gordon Riots”, also known as the “No Popery” riots, were a flash of mob violence, ostensibly ignited against legislation to relax the laws against the practice of Catholicism in England, which shocked Britain. George Gordon, a sincere but insecure Scottish nobleman, put legitimate fears about the Catholic religion, rooted in vivid historical memories of the reign of Bloody Mary, into a giant petition to turn back the repeal. Lord George’s delivery of this petition to the House of Commons triggered a wave of hysteria, soon fueled by alcohol, which resulted in massive arson and pillaging. Only after three days of dithering did the Army finally take charge, and restore order. Many of the instigators were hanged. Lord George was acquitted of treason, but soon converted to Orthodox Judaism, which is an interesting story in itself. Dickens anchors his complex novel around the character of a good Protestant, ‘Gabriel Varden’, a middle-aged locksmith who goes some several extra miles in the cause of mercy and loyalty; and a bad Protestant, ‘Martha Varden’, Gabriel’s wife, who exemplifies the pharisee and whose obtuse self-righteousness almost succeeds in destroying her life and the life of her family. Fortunately, Mrs. Varden is saved — by her husband ! 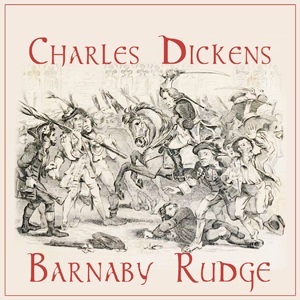 There is also the title character, Barnaby Rudge, an autistic man of 25, whose insights — and insight into the nature of God — are to be listened to; and a vicious villain, Hugh, who himself experiences a conversion to grace in the catastrophe of the ending. Listen to Hugh at the end of the novel. Barnaby Rudge, which I had delayed reading for years because I feared to read it, is an x-ray into the good of the Gospel, and the “devil in the details’, i.e., the danger of putting secondary things in first place, and first things in second. Episode 40 of ‘PZ’s Podcast’ exposits the shattering conversion of Martha Varden. Listen here. Or subscribe to PZ’s Podcast here. P.S. For Mockingbird enthusiasts, George Gordon’s sudden jump from Reformed Christianity to Orthodox Judaism will offer some delightful grist for the mill.